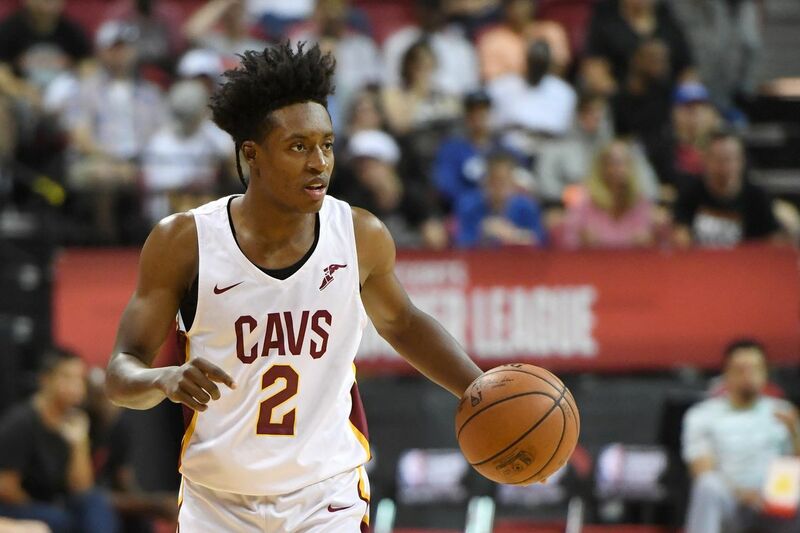 Collin Sexton Profile And Career Stats, How Tall Is The NBA Player? Home Sports Collin Sexton Profile And Career Stats, How Tall Is He? Collin Sexton Profile And Career Stats, How Tall Is He? Collin Sexton is an American professional basketball player selected by the Cleveland Cavaliers with the 8th pick in the 2018 NBA Draft. Sexton who now plays as a ‎point guard also played college basketball for the Alabama Crimson Tide and was selected as a McDonald’s All-American. He is considered an athlete with a competitive streak and great scoring instincts and was the top scorer for the US team that took gold at the 2016 FIBA U17 World Championship in Zaragoza, Spain. Born in Marietta, Georgia, United States on January 4, 1999, as the son of Darnell and Gia Sexton, Collin Sexton is the youngest of three children of his parents. He was raised with his older brother Jordan, and older sister, Giauna. Growing up, Sexton was introduced to basketball at the age of three. He attended Pebblebrook High School on transfer prior to his junior year. Subsequently, he joined the school’s team and helped the Falcons to Georgia Region 3-6A title and Georgia Class 6A state championship game, 2016. While with the team, he averaged 23 points, 7.4 rebounds and 2.9 assists. He’s popular as a productive scorer in the game. Besides his high school basketball record, Sexton also played the game in college. He committed to play for coach Avery Johnson after enrolling at the University of Alabama and led the Crimson Tide to an NCAA Tournament berth to earn SEC Freshman of the Year honors; with 19.2 points and 3.6 assists per game. He was also named to the All-tournament team after scoring an average of 26.3 points per game, 3 assists and 5 rebound in the SEC men’s Basketball Tournament against Texas A&M; #1 seed Auburn and Kentucky who defeated his team during the semifinals. Sexton decided to forfeit his final three seasons of collegiate eligibility at Alabama to declare for the 2018 NBA draft where he was ranked as a first-round selection. His announcement comes after the Tide’s loss in the 2018 NCAA Men’s Basketball Tournament. He was selected with the eighth overall pick in the 2018 NBA draft on June 21, 2018, by the Cleveland Cavaliers and was the highest-selected player from Alabama since 1995. It was reported that he signed a four-year contract worth $20.2 million with a salary of more than $4 million in the first year. During the NBA Summer League debut, he had 15 points and 7 rebounds. Sexton is nicknamed Young Bull because he handles the ball with a head full of steam and never slows down once he gets on with the game. He has been predicted as once to pave his own path as a dynamic and very explosive offensive player. Nevertheless, experts believe the slasher has some areas to improve on, including areas of three-point shooting, court-vision and defense. Other weaknesses include getting too sped up and wild driving into traffic. He is very prone to turnover at times and will hoist up contested jumpers early in the clock. Bottom line, the Young Bull still has room to polish his point guard skills. Besides basketball, Sexton is involved in charity works in Alabama. He shared a picture of him and family at a charity event on his Twitter handle. Sexton was roped in an FBI investigation before Alabama’s exhibition game on November 6, 2017 which affected his eligibility to play, causing the school to stop him from playing. The issue is linked to the resignation of Alabama director of basketball operations Kobie Baker, following a case about college basketball corruption, by the law enforcement agency. Saxton later got to play his first match on November 14 in a win against Lipscomb University but not before his name was cleared. Again, Collin Sexton’s name emerged as one of those involved in the NCAA scandal which claims they have been receiving payments or dinners. While the issue lingered for a while, he was later cleared of all involvement. How Tall is Collin Sexton? Sexton has an average height and frame when compared to some of the NBA’s elite lead guards. At a height listed as 6 feet 2 inches (1.88 m), he is not considered to be in possession of the best physical profile for an NBA lead guard. His weight is also listed as 183 lbs (83 kg). Nonetheless, what he lacks in great height and strength, he makes up in positive emotion and courage to dig in and be physical.